2010 has gone and we are looking forward to see what 2011 will bring! With any luck the New Year will usher in a decade of economic recovery where Brides and Grooms can plan a wedding without all the stress of worrying about whether they can afford this or that or have to pick and choose what they can spend the money on. If 2010 has taught us anything it would have to be how to live with luxury Champaign taste on a beer income without having to forgo any of the amenities. Nevertheless there are ways to shave some wedding expenses and still have the wedding day of your dreams. One way future brides can make her bridal accessories more affordable without having to give up that element of elegance is using hair combs, barrettes and hair pins instead of the long veil or the elaborate headpiece. You can find hair combs, barrettes and hair pins that are elegantly designed and can be worn again after the romantic wedding for other special occasions. 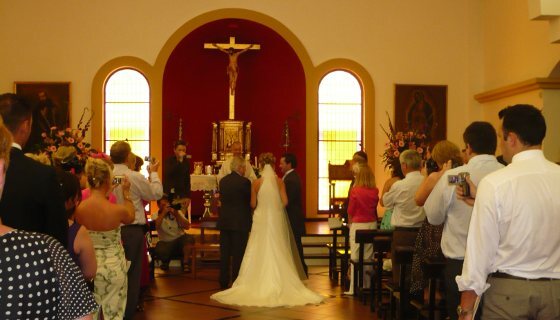 You can cut some wedding costs by having a smaller wedding abroad. For a traditional wedding in the UK most brides and Grooms invites 100 or more weddings guests of which they don´t have daily, weekly or monthly contact with most of the wedding guests – but it is a wedding tradition that more or less everybody has to be invited. Just imagine how much you will save on your wedding by informing your family and friends that you want to get married abroad and you can´t afford to invite everybody. They will understand – and you will save a small fortune and on the other hand, you will only have the wedding attendance you really care about! In addition you may have a destination wedding in a French Castle as Château Hattonchâtel, an idyllic wedding in a Danish Manor House as Skrøbelev Gods or a sunny beach wedding, gazebo wedding at Ritz Resorts in Tenerife, Spain. Another way brides can save some money on their dream wedding is silk flowers – it does not have to be French red roses. The cost of real flowers for unique wedding bouquets and wedding decorations can be astronomical. Silk flower arrangements are beautifully arranged and will last a lifetime. Not only will silk flowers look like real flowers but they can be used again afterwards for home décor as well as make a wonderful keepsake for the Mothers of the Bride and Groom and all the bridal attendants. 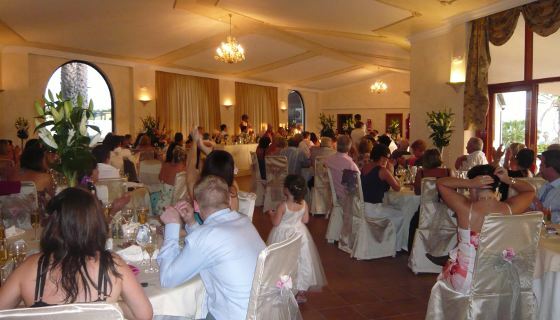 Wedding Reception costs for your stunning wedding can really mount up when it is all said and done. There is the food, the decorations, the wedding cake, the alcohol (if you decide to have any) and the music. Now one way to save some money on the wedding music is to have a DJ instead of a live band. With a DJ you get to play the music you want and not just what the band knows how to play. With a DJ you can play music all night long vs. a band who takes breaks after each set and will usually only play for a couple of hours unless you want to pay them more. With regard to alcohol (if you decide to have any) you may want to consider a cash bar. Or you can also decide to serve alcohol for just a couple of hours say at meal time. Either way is acceptable and can really save on the expenses. There is no doubt about it that destination weddings can be costly if you chose the wrong wedding place in UK – however the wedding location is very important. But by incorporating some of these wedding tips in your wedding planning will help to eliminate some of the wedding expenses. In today’s economy saving just a little bit helps. If the hotel, inn or castle you have chosen for your wedding have a wedding planner – use the wedding organizer as much as possible, because they have the experience and the local knowledge. 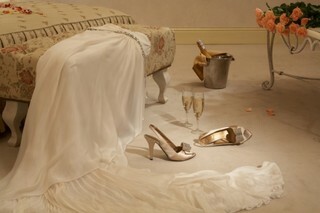 The above mentioned hotels all have free wedding planners for the bride to be. To find beautiful wedding locations at affordable prices visit Ritz-resorts, they offer you unique wedding locations in France, Denmark and Tenerife, Spain. This variety of rose creates a dramatic atmosphere bringing contrasts of light colors. If you require a particular flower for your fairy tale wedding, whether its for your own bridal bouquet or just simply as a decorative feature, the choice of the Red France Rose will delight you with its aroma and sense of delicate romance. The Red France variety of roses is the true red rose. In comparison, the Red France Rose has a higher petal count. The head of the rose is much larger than others and it is for this reason that this rose is often the choice to be given singularly as a solitary stemmed extension of ones affection, although it forms perfection when used in lavish bouquets. From where does the red French roses originate? This is a rare rose that you simply will not find blossoming in just any garden. This is the rose of roses and was originally cultivated by the Philippine rose growers and they alone were able to uniquely achieve this rose with its rich blood red color. The rose is now cultivated on farms in many corners of the World such as Vietnam, Ecuador, Columbia, Israel, and incidentally many African nations now farm this variety commercially. Later it is distributed to all over the world – in Europe you will find the French Red Roses and Berlin roses in Spain, Italy, Scotland, Norway, Germany, England, France, Sweden, Portugal, Denmark, Belgian, UK, Yugoslavia, The Canary Islands, Switzerland, Austria, Holland, Tenerife or Finland. Where ever your romantic destination wedding or wedding location is – you will be able to get these beautiful flowers. Red roses would look brilliant at elegant castle weddings in France or an idyllic Manor House in Denmark. This rose has for many years, become the standard for florists internationally, so it does not matter if you want to get married in UK or you want to get married abroad – you will always be able to buy them, but rarely get a discount. The choice of this unique flower for a breathtaking bridal bouquet introduces a statement all of its own with its pronounced maturity of rich colour, nothing else is needed as the vibrant shade of its large petals against a stark white bridal gown are nothing less than dramatic and stunning. The use of this flower and its theme can be used for bridesmaids as a singularly stemmed hand held feature, a wrist fixture and perhaps the Grooms buttonhole. This heaven-scented rose can be used in creating a gorgeous, romantic atmosphere for your wedding reception or wedding venue in Denmark by scattering its velvety rich red petals on starched pure white linen tablecloths. Perhaps a simple centerpiece is required, this is easily obtained by using a shallow glass bowl, filled with water and then placing petals and tea lights inside which will float and will then create an aromatic and romantic feature. These French flowers simply look gorgeous mixed with other colors such as white roses or pink roses for a very attractive Valentine’s Day red and pink color combination or all three colors, because you can naturally mix them with white roses to create a strong contrast between the three colors. The strongest contrast you will get between the red and the white roses. There are countless things you can do with these roses and their petals in relation to a beach wedding or romantic gazebo weddings in Tenerife. Why not consider including some of the rose petals inside your wedding invitations, place a single petal in your wedding guests champagne glass, place the petals in a tulle bag as wedding favors for you female guests, or if you’re holding your glamour’s wedding reception in a garden, why not consider creating a rose petal carpet. The more thought one has of this delightful flower, the more ideas and imagination of what is obtainable is boundless. When you are getting married why not brighten up your wedding day and simply treat yourself, visit your local florist and purchase some Red France Roses, make yourself feel as special and unique as these beautiful flowers. I think, it´s an unknown fact that a wedding in paradise can exist without travelling for days on end and without incurring a huge hole in ones pocket! Ever been invited to a wedding knowing that you could only dream about attending? Sadly you decline because of cost, distance and time. Recently I received a wedding invitation to attend a wedding blessing in Tenerife. The initial wedding ceremony took place at the local registry office. Sound plain and simple? The best was yet to come! Bags packed and ready, the mini bus waiting, off to the airport and on our way to sunny Tenerife. Leaving behind the freezing cold, drizzling drab weather. We checked into the most quaint resort, part of the The Ritz Resorts group, situated in Amarilla Golf in the South of Tenerife. People say you can´t change a first impression, here, you really wouldn´t want to. We were greeted with a warm and friendly welcome and an efficiency second to none by the Tenerife hosts and the wedding planner at this charming Canarian resort. All the wedding party had been accommodated on site, 50 in total. The wedding accommodation in Tenerife was surprisingly cheap and yet consisted of self catering apartments, the standard of which was incredible. The resort staff in Tenerife can´t do enough for you and cater for your every need. Totally uninterrupted paradise. The Ritz Resort hosts with their invaluable advice and experience had arranged and carried out every wish, instruction and minor wedding detail as instructed by the bride and groom. The local Priest in Tenerife, is of Irish origin, so no language barriers. He carried out the wedding ceremony by the pool and the whole ambiance was that of a fairytale wedding. The bridesmaids with their fresh flower bouquets. Soft music that floated on the Atlantic breeze, tall palm trees swaying gently and in the not too far distance, the Atlantic Ocean. There is something so special about this wedding abroad. What a sight for sore eyes! Canarian potatoes, platters filled with mixtures of roast meats and poultry, whole suckling pigs, poached salmons and a huge king prawn fountain. All being washed down with fine Spanish wines and champagne. The wedding cake seemed to stand in its own kingdom almost as though you were expected to pay homage to it! 8 tiers in all, it swirled around like steps leading up to a turret in a castle, sheer decadence. Made at the local Tenerife bakery, another small detail taken care of by the Tenerife wedding planner with a huge, “knock on effect”. When someone or something touches you, and it has an everlasting effect on you, you have to let people know, spread the word. My advise is, if you ever get the chance to attend a wedding at this Ritz Resort in Tenerife, or certainly, if you are thinking of getting married abroad, having a ceremony of a wedding blessing, or renewal of your wedding vows abroad, don´t hesitate to get in contact with these proffessional wedding advisors who truelly are helpful and friendly people who make your wedding dreams a reality, cater for all your wedding needs and will ensure that you will have that truelly unforgetable once in a lifetime experience.